Tatlong Taong Walang Diyos versus Dekada 70 – Two political period films. Tatlong Taong Walang Diyos was about a love triangle set in the Japanese occupation of the Philippines and Dekada 70 was about a family in a society under the Marcos dictatorship. It was reported that Dekada 70 was first offered to Nora Aunor. Whatever happened to that plan remained just a tiny anecdote to the Dekada’s success. Vilma Santos played the lead role with richness that we could not imagine other actresses playing her role including Nora Aunor. This Chito Rono film garnered Vilma 9 awards for Vilma Santos as Amanda Bartolome. Also, the film was entered to Cannes Film Festival and at Cinemanila International Film Festival where Vilma won her second international best actress. Dekada 70 was also the Philippines entry to the foreign language category of the OSCAR. Not bad for a film not originally intended for Vilma. Tatlong Taong Walang Diyos on the other hand was really conceptualized and produced for Nora Aunor…but wait…she was the producer! In 1976, Mario O’Harra, the director and writer was at his peak of his career. Critics were disappointed with his earlier works because they had high expectations but most were delighted that he redeemed himself by coming up with a superb production and acting in Tatlong Taon. The critics (URIAN) and even Famas rewarded O’Harra with the satisfaction of witnessing the acting recognition of Aunor, his producer. As producer, Nora Aunor’s Tatlong Taong Walang Diyos faced another gigantic film, Ganito Kami Nuon Paano Kayo Ngayon and lost the best picture in both Famas and URIAN. For many Noranians the failure of the film to win the best picture wasn’t as important as the win of Aunor in both URIAN and Famas. For them this was a grand slam. Never mind that in order to be considered a grand slam it should be four or five majors just like in tennis. The reasoning behind it was that there were only two major award giving bodies back then. But in 1976, no term was given to Nora’s wins. Not until Vilma’s swept of all the best actress awards in 1982 that the term “grand slam” was brought up in papers! She was even given a “Walis” award for this feat. 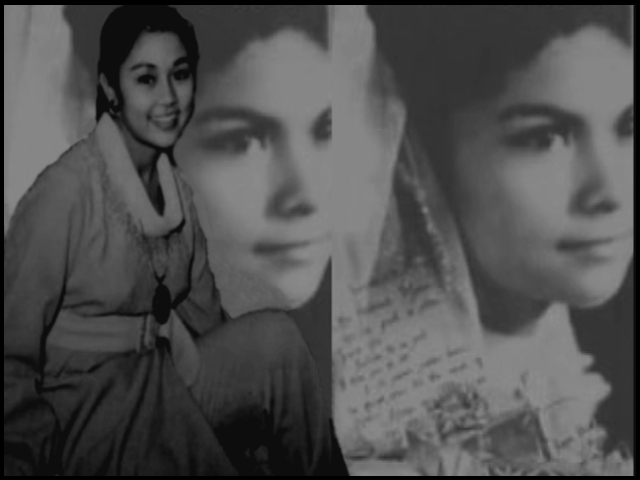 Switcheroo – In 1976, like Nora Aunor, Vilma Santos produced her own film, titled Mga Rosas Sa Putikan, a less ambition film than Tatlong Taon. She doesn’t have to prove much about acting as Nora Aunor’s whole intention in producing Tatlong Taon. Like the usual suspects, would Vilma be as effective as Nora as probinsiyana in Tatlong Taon? In 1976, her usual roles are either a spoiled brat, socialite modern woman mostly a picture of youthful rebel. This might strikes against her in performing such a serious role like Tatlong Taon. It will take another year before critics takes her seriously as an fine A-1 actress via Burlesk Queen. This is different in the case of Vilma playing Elsa. Vilma as Elsa in 1982 will be easy because she already discovered her technical camaraderie with Bernal. Her not fitting as probinsiyana will be remedied by the talent of her director Bernal. In this case, would O’Harra be able to make Vilma as Rosario effective as he did with Nora? I doubt it. O”Harra was a die-hard Noranian. He will be ill-equipped to figure out a way for Vilma to do the Rosario role despite the fact that Vilma is equally capable for such role. It is worth noting that Vilma portrayed a similar “probinsiyana” look two years after in Tatlong Taon were shown, and it her own produced film, in 1978’s Pagputi Ng Uwak Pag-itim Ng tagak. Fast forward to 2002, Star Cinema bought the rights to Lualhati Bautista’s Dekada 70 and gave the project to Vilma Santos. This was after the box office successes of Anak and Bata Bata Paano Ka Ginawa. The film ripped prestige to the film outfit and cemented its reputation as the number one film outfit of the land probably next to Regal films. Would the same results arise if Nora Aunor starred as Amanda Bartolome in Dekada 70? Given the fact that Nora is a capable actress and Star Cinema are know to its high quality production, the feasibility is high. BUT…fast forward to another two years, Naglalayag laid an egg in the box office. Amazingly disappointed was the producer who witnessed the closing of many theatres after its only third days of showing of the film. A clear proof that Nora Aunor has lost her clout as a box office drawer. Reality Checks – No doubt Nora Aunor fits the role of Rosario to a T. Vilma will be out of cast as the provinciana in a Japanese occupation in 1976 if the director remained to be Mario O’Harra. In the case of Nora Aunor playing Amanda Bartolome in Dekada, she is capable of playing the role of the mother in the Marcos society but clearly it will not be as commercially successful given her series of unsuccessful comebacks. This entry was posted in ARTICLES and tagged ARTICLES, Boxing Matches 3/7, Nora Aunor. Bookmark the permalink.